The session’s first speaker, Nick Shockey, reviewed the open-access (OA) movement and its various initiatives and organizations in the context of predatory journals. He explained that the Scholarly Publishing and Academic Resources Coalition (SPARC), a library membership organization with members primarily in the United States and Canada, is working to open up research. He also mentioned the OpenCon 2015 meeting and the fact that more than 2000 individuals have participated in OpenCon meetings; OpenCon is devoted to open access, open education, and open data. He referred to John Bohannon’s Science article “Who’s Afraid of Peer Review?”, which found that a spoof manuscript received little or no scrutiny at many OA journals. He noted that the Directory of Open Access Journals (DOAJ) has recently begun removing journals from their directory if they have not submitted all required information. In their BMC Medicine article “‘Predatory’ Open Access: A Longitudinal Study of Article Volumes and Market Characteristics,” Shen and Björk found that most authors publishing in predatory open-access journals were from Africa and Asia, where academic pressure to publish in international journals is intense. Nick pointed out how that result dovetailed with the fact that most signatories to the San Francisco Declaration on Research Assessment (DORA) are institutions in North America and Europe; in Africa and Asia, evaluation of researchers on the basis of the Impact Factors of the journals in which they publish is still the norm. The Open Access Academy and Why Open Research are two projects devoted to helping authors learn about open access. To the question “what makes a journal predatory?” Nick responded that there are multiple factors, including insufficient peer review, questionable marketing practices, and fraudulent editorial board members. Charlie Rapple began her presentation by asking how researchers know who the good guys are. She stated that predatory journals can give all journals a bad name and make authors suspicious of all publishers. She mentioned Jeffrey Beall’s list, which identifies predatory journals, and Cabell’s, which has a white list identifying reputable journals but plans to launch a black list also. The bulk of her presentation, however, was focused on Think. Check. Submit.—an initiative launched in September 2015 to help researchers identify trusted journals. She explained that this was necessary because more research was being published, new journals are being launched every week, up-to-date guidance can be hard to find, and stories of misconduct and deception are increasing. 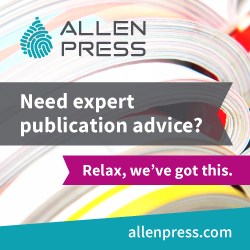 Publishing in a predatory journal can have the following negative implications for authors: the journal has a lower or no profile among the researchers’ peers, which can lead to fewer citations; a paper may not be indexed or archived; the author may have a poor publishing experience; and the author’s reputation may be damaged. Charlie then explained the initiative’s components. The “Think” component involves asking whether you are submitting to a trusted journal and whether it is the best journal for your work. 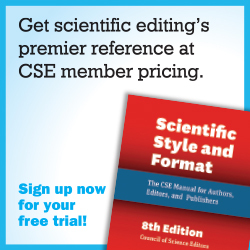 The “Check” component consists of asking a number of questions on the checklist about the journal and publisher, such as “can you easily identify and contact the publisher?”, “is the journal clear about the type of peer review it uses?”, and “is it clear what fees will be charged?” Publishers should ask themselves the questions on the checklist, because Charlie has found that some reputable journals do not satisfy all the checklist criteria. 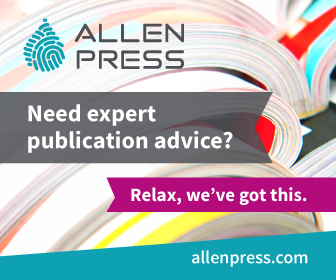 Authors should submit to a journal only if they can answer “yes” to most or all of the checklist questions. Publishers can help the initiative by including a link to thinkchecksubmit.org from their websites, blogging about the initiative, including information about the initiative in their Information for Authors documents, mentioning the initiative in workshops, and adding information about the initiative in eTOCs. Donald Samulack’s presentation focused on the broader problem of predatory and irresponsible commercial services being targeted to authors. He explained that predatory and irresponsible practices now permeate every facet of the “axis of publication.” These practices include editorial board solicitation, peer reviewer solicitation, manuscript solicitation, and predatory author services such as manuscripts for sale. Donald’s personal call to action on this issue began with Jeffrey Beall’s blog post “Is This a Paper Mill?”, which exposed a seemingly sophisticated but predatory author services website. Further investigation by Editage revealed that the website and associated sites were offering to write theses, provided scholarly recognition certificates, had questionable nondisclosure agreements, and had irregularities with respect to web traffic (Pakistan) and payment processing (Dubai). He also mentioned scipaper.net, which is a Chinese site for buying manuscripts and authorship. Another example of predatory practices is the existence of hijacked and look-alike journals. Fake Impact Factors and misleading practices are another problem. 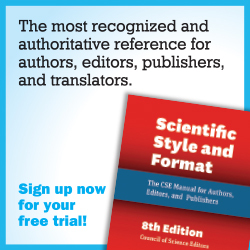 For example, names such as “International Scientific Indexing” and “International Scientific Institute,” which have the same acronym (“ISI”) as the old acronym associated with the Thomson Reuters Impact Factor, can be used to confuse authors. To counteract these predatory practices, the Coalition for Responsible Publication Resources (CRPR) was formed; their website is www.rprcoalition.org. Individuals can also pledge to publish ethically via the Editage website (www.editage.com/pledge-to-publish-ethically). 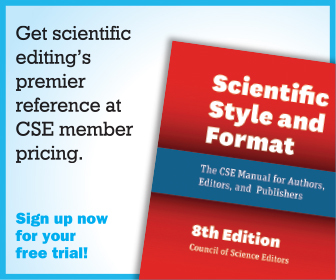 The Alliance for Scientific Editing in China (ASEC) is also taking steps to counteract predatory practices. 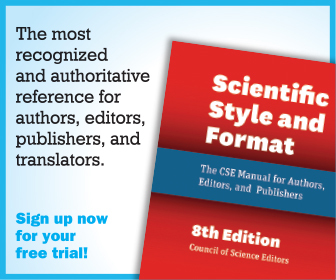 In addition, in response to the recent wave of retractions of papers from China that involved third-party peer-review fraud, the China Association of Science and Technology (CAST) has launched a “5-don’t” policy for Chinese scholars, which stipulates that third parties should not write, submit, or modify the scientific content of manuscripts, that authors should not provide false peer reviewer information, and that a manuscript’s author list be limited to researchers involved in the research itself or the writing of the manuscript. The CRPR is attempting to make sense of all the predatory activity and provide authors and CRPR members with transparency, discoverability, and accountability of publication resources.